Great workers build on their strengths. They focus on the specific activity where they can deliver As, rather than Bs or Cs. They may be good at encouraging people, playing a sport, solving a technical problem or working in a particular field. Such workers also have savvy in their chosen activity. They know how to choose the right strategies, negotiate their way through challenges and deliver success. Dictionaries define savvy in various ways. Here are some of the themes they highlight. A person with savvy has the experience, practical knowledge and ability to make good judgements in a particular domain. Every person has savvy in some areas. They may have it when dealing with people, animals, technical matters, finances, sales, health care or whatever. They may need to develop or add extra expertise, however, to reach their goal. Looking at your own life, can you think of a specific activity in which you have the strengths and savvy required to deliver success? If you wish, try tackling the exercise on this theme. This invites you to do the following things. 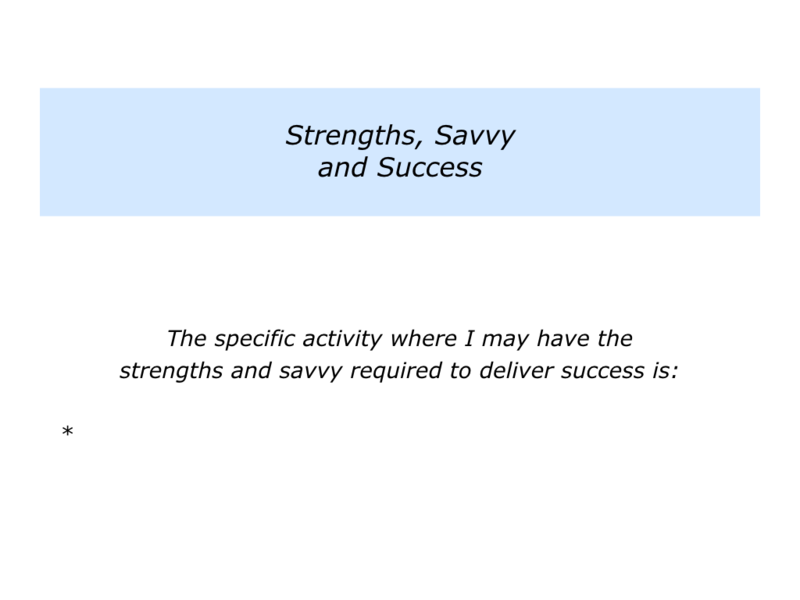 Describe the specific activity where you may have the strengths and savvy required to deliver success. 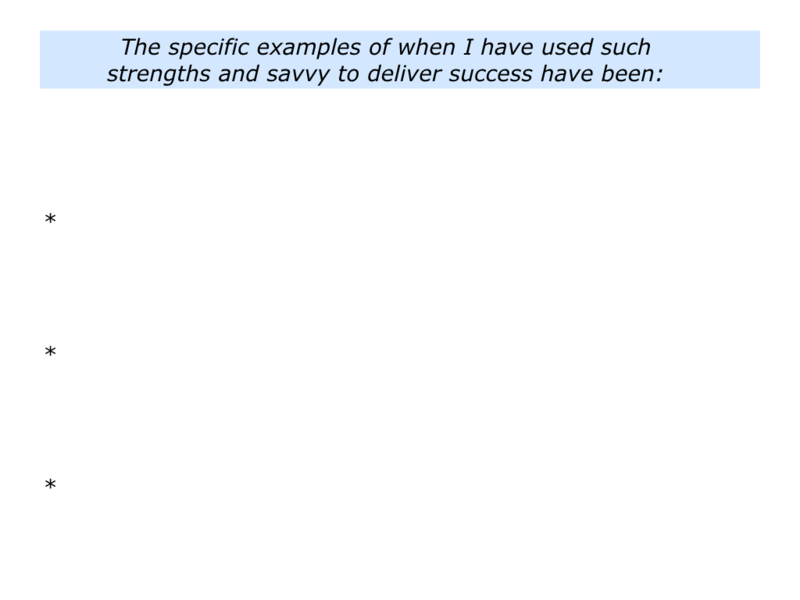 Describe some specific examples of when you have used these qualities to deliver success. People who do good work build on their strengths and manage the consequences of their weaknesses. The topic of savvy, however, is often overlooked. A person may have deep knowledge of a particular field, for example, but that may not be enough. They may need to learn how to apply it effectively to achieve success. 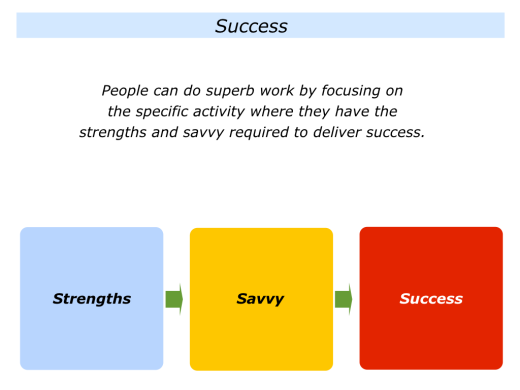 So how do people develop savvy? They often focus on an activity they find fascinating and gather information. Setting a specific goal, they clarify the strategies most likely to achieve success. They then go into an interesting phase. They follow their chosen strategies and aim to perform good work, but they also do something else. They are fully alert and keep reading reality. They keep checking on: a) What is working and going well; b) What can be done better and how. They then either keep pursuing their chosen strategies or find solutions to the challenges. They build a bank of knowledge that helps them to make decisions. They see patterns, anticipate future challenges and find potential solutions. They apply this savvy to help them achieve success. What have I learned from the experience? What did I do well and how can I do more of these things in the future? What could I do better next time and how? What else have I learned from the experience? How can I apply these lessons to increase the chances of success in the future? A person can have savvy in one area but not in another. They may be an expert at research, for example, but not know how to present their ideas. They may also be good at relating to certain types of people but not to others. He spent over 50 years studying people who show such qualities. A paratrooper in the 1950s, Al remembered meeting the few remaining survivors from the 11th Airborne Division, a unit that had served in WWII and Korea. During our training I noticed that combat survivors have a type of personal radar always on ‘scan.’ Anything that happens, or any noise draws a quick, brief look. They have a relaxed awareness. I began to realize it wasn’t just luck or fate that these were the few who came back alive. 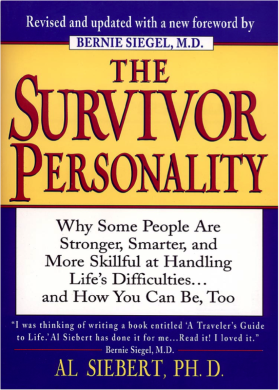 Al decided to study life’s survivors. 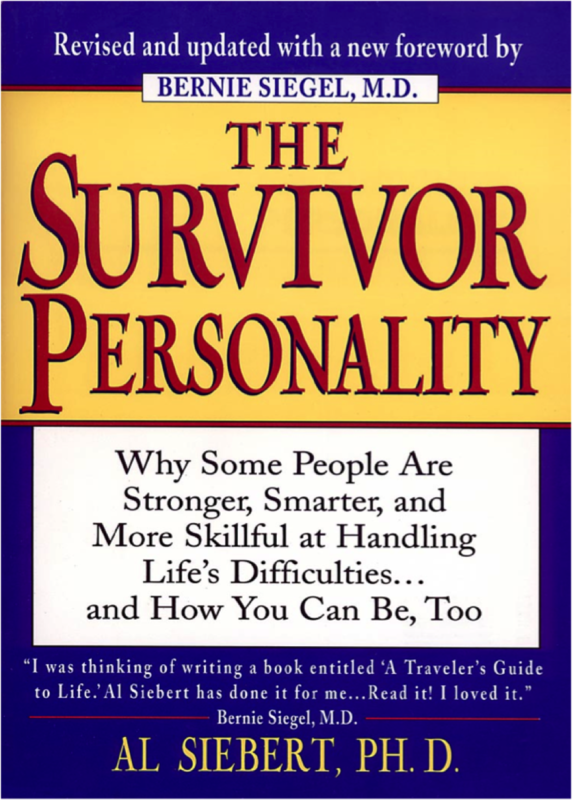 He found that such people use various strategies to overcome crises successfully. 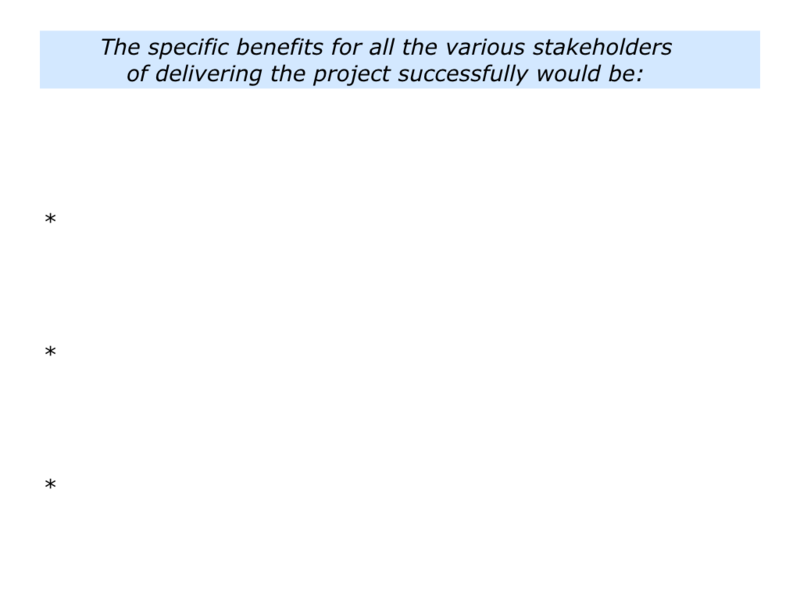 These include the following. They have experience and competence that helps them in such situations. They clarify the real results to achieve and set specific goals. They rehearse the potential strategies and settle on their chosen route. They stay alert when implementing the strategies, adjust these accordingly and do everything possible to reach the goal. Al said such people are good at pattern recognition. Scanning the situation, they look for patterns by asking some of the following questions. 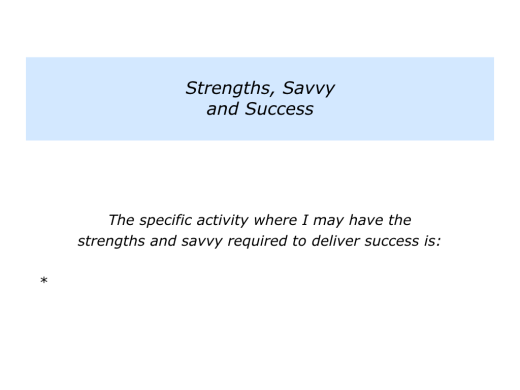 Let’s return to the specific activity in which you have the strengths and savvy required to succeed. How can you keep building on your strengths? How can you keep developing your savvy? How can you keep doing superb work? You may want to tackle a stimulating yet stretching project that enables you to use these talents. This could be in your personal or professional life. How can you find or create such a project? How can you clarify the picture of success? How can you clarify the strategies you want to follow? How can you anticipate and solve challenges? How can you do superb work? How can you do what is required to achieve the picture of success? 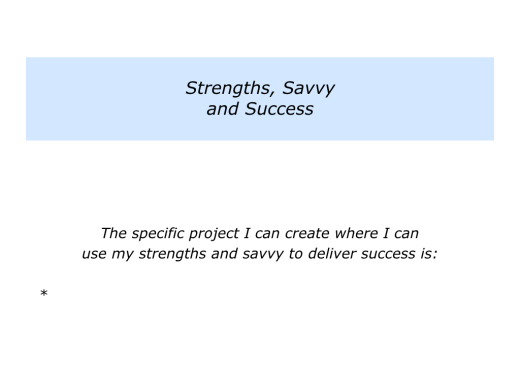 Describe a specific project you can find or create where you can use your strengths and savvy to do your best to deliver success. 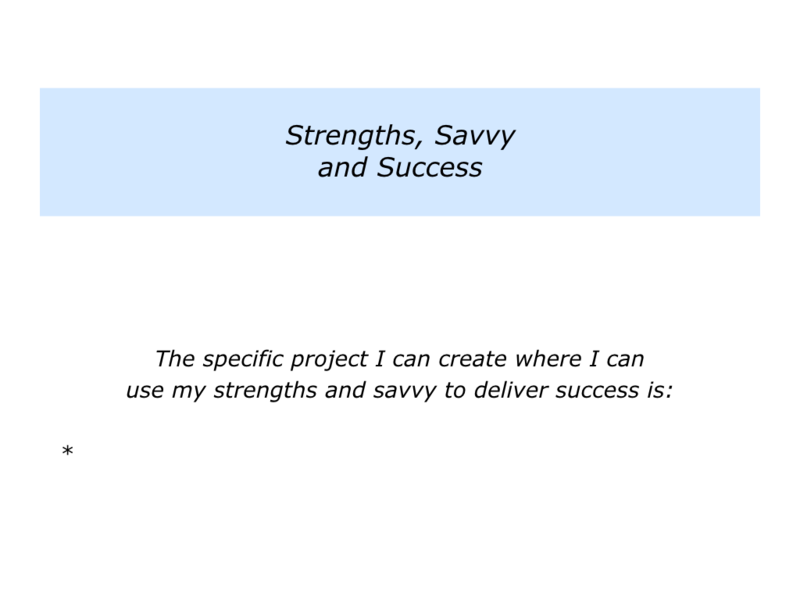 Describe the specific things you can do to use your strengths and savvy to deliver the project successfully. 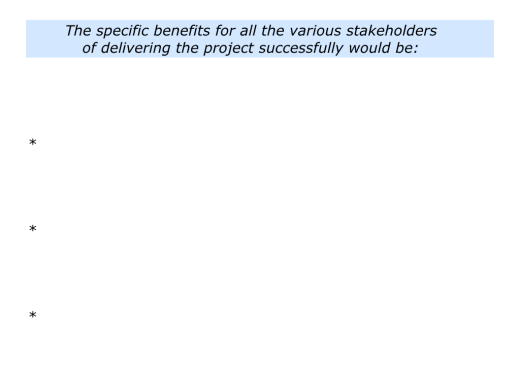 Describe the specific benefits for all the various stakeholders of delivering the project successfully.